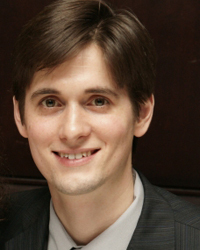 Jason Sorens is a lecturer in the department of government at Dartmouth College. He received his BA in economics and philosophy from Washington and Lee University and his PhD in political science from Yale University. His research interests include secessionist movements, ethnic politics, civil war, fiscal federalism, and state and local public policies. In his spare time, he volunteers for the Upper Valley Land Trust. Perhaps his main claim to infamy is having founded the Free State Project, an effort to recruit limited-government activists to New Hampshire, in 2001.